Its summer time! This is the perfect time to do activities outdoors like going to beaches and pools or maybe doing some outdoor games. Basking under the sun is good but overexposure is harmful. That is why, moms should see to it that our little loves are well protected from the sun, if not, they might get sunburns. You might love to see tans on your kiddos but even if tan is good, having them due to sun exposure is actually a sign of skin damage. Same is true with freckles. Also, one blistering sunburn for your child can already lead to skin cancer. You should also be aware that the effects of UV exposure is cumulative which means that you continuous exposure from time to time might risk your kids for skin cancer. The eyes of the children are also more sensitive to UV rays and overexposure may cause cataracts. Well, no mommy would like their little loves to be in danger due to sun exposure. So, we will be giving you some tips on how you can protect your kid's skin from the sun so that you will be ensured that while you are having fun outdoors, your kids are safe and free from any sun damage. 1. Time exposures. You have to be aware of which time of the day you can safely exposure your kids under the sun. From 10 in the morning until 4 in the afternoon, make sure that you will limit sun exposure for during these times, UV rays are the strongest. Also, take note that id your shadow is shorter, the sun is at the highest point in the sky and they are more dangerous that way. When it is cloudy, do not put your guard down because UV rays can still penetrate the clouds. Be sure that your kids wear outfit that protects them from the sun. Get them a hat, sunglasses and let them wear long sleeves and pants. That is if you are letting them play outdoors. But choose clothing made from cotton so that it won't be hot on the skin. When choosing hats, buy those that have wider brims for more protection from the sun. You can get hats that your kids will love so that they'll wear it. When swimming, you can let them wear their swimsuits and then place a cover-up but be sure not to forget about putting sunscreen. Sunglasses should have 99% UV protection. 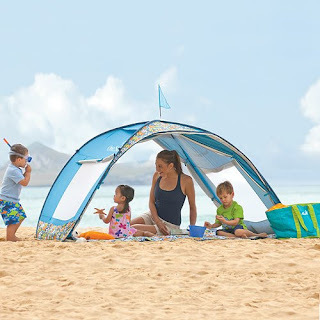 Clothes and other items from Sun Smarties will help protect your baby's and kid's from harmful UV rays. 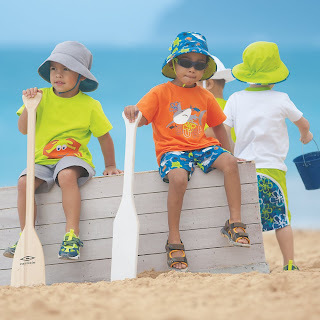 Items from Sun Smarties were designed to make it easier for parents to ready our little loves with trendy clothing and gears that can protect them from the heat of the sun. 3. Schedule playtime wisely. One way of making sure that your kids will stay indoors during hours when the sun is too hot is to schedule their playtime. You can let them play indoors from 10 A.M. to 4 P.M. When the sun is no longer harmful to them, then you can let them go out. 4. Use and choose sunscreen. Do not get just any sunscreen. Make sure that you will get those with an SPF of 15 and above. 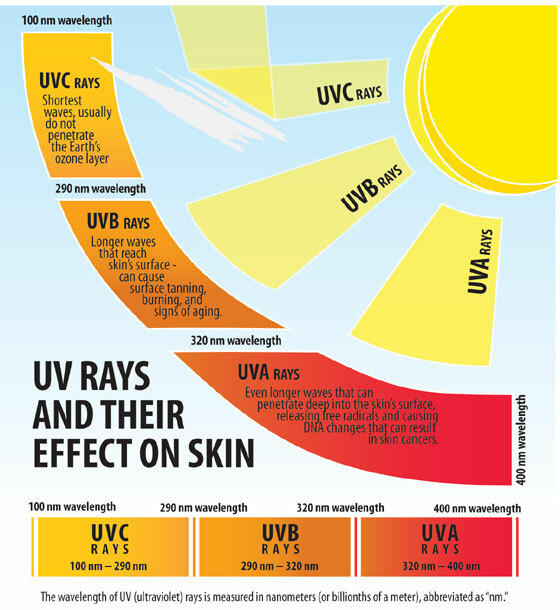 Choose also those that shields both UVA and UVB rays. So, read the labels all the time. You can also get those that are made specially for children and babies for they give extra protection to the skin. 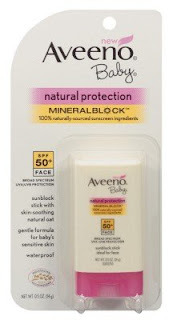 You can try using Aveeno Sun Natural Protection Baby SPF 50 Stick, 0.5 Ounce (Pack of 6) for your babies and BurnOut SPF 30+ for kids. This can help you protect your little love's skin. 5. Observe year round protection. Well, you do not just protect your baby's skin when its summer time. You protect it all year round. Even in areas where there is snow, the effect of the sun is still the same. So, always have sunscreens with you and make sure to protect your little loves from the sun's heat all the time. Having enough knowledge about how the sun can damage your kid's skin is important for this will encourage you to work on it more. Also, aside from protecting your child's skin, you also have to protect yours. Set an example. Put on sunscreen, wear proper outfit and go to the shade when the sun is so hot especially during noon. If your kids will see how disciplined you are in protecting your skin, then they'll do the same. We hope you got some information from this post mommies.